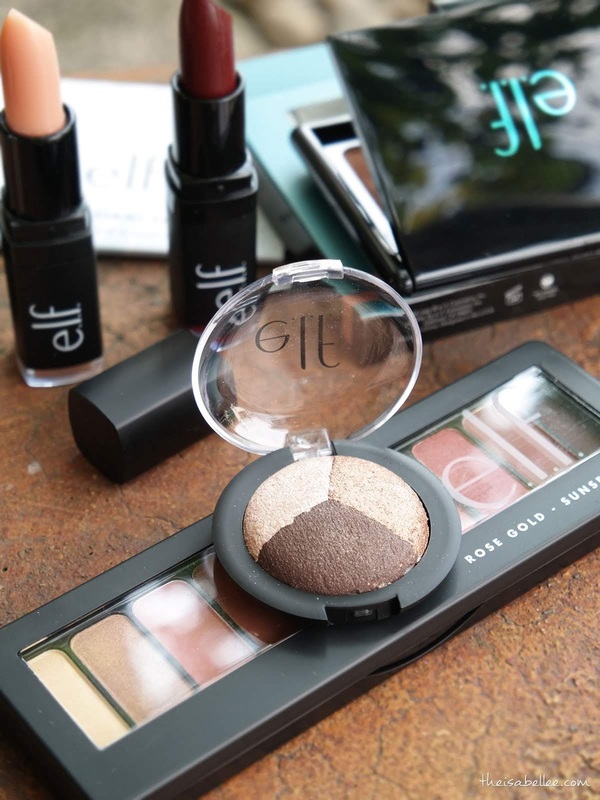 My elf Cosmetics haul is here!! 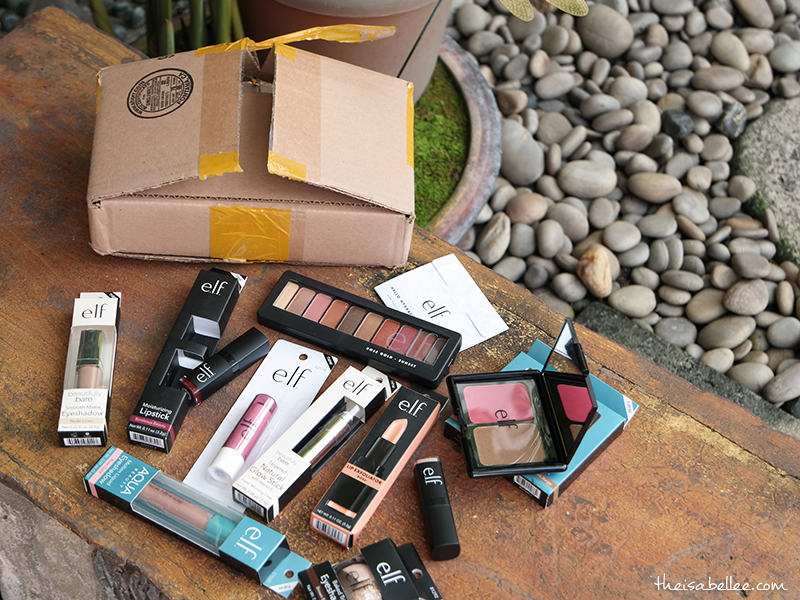 This is the first time I'm ordering from elf myself. 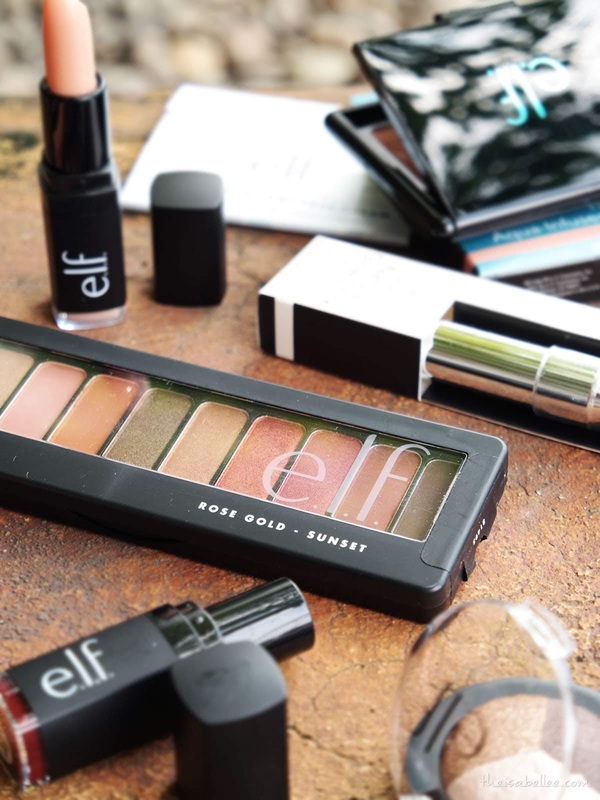 I've always used an agent for elf Cosmetics but you have to follow their batch time and you lose all the perks like freebies, points and coupons! 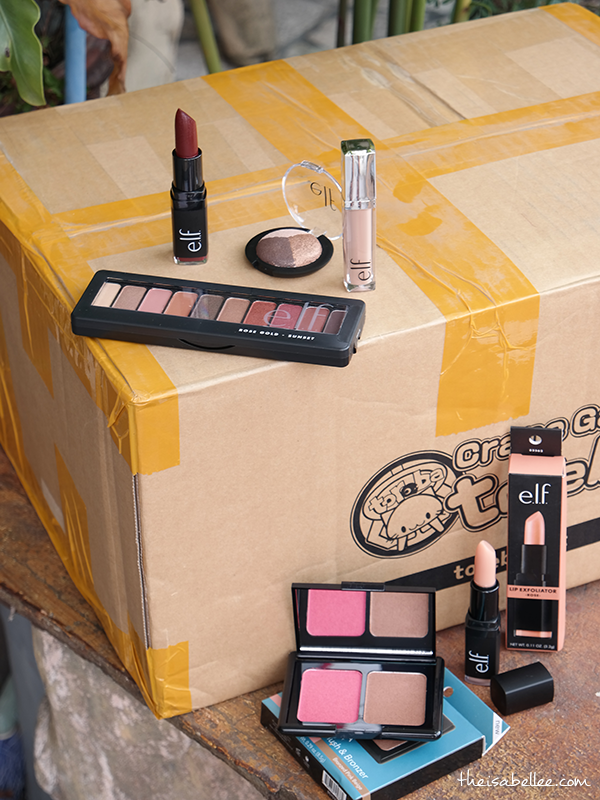 FYI, elf only ships to US and Canada addresses so you cannot buy directly from Malaysia. 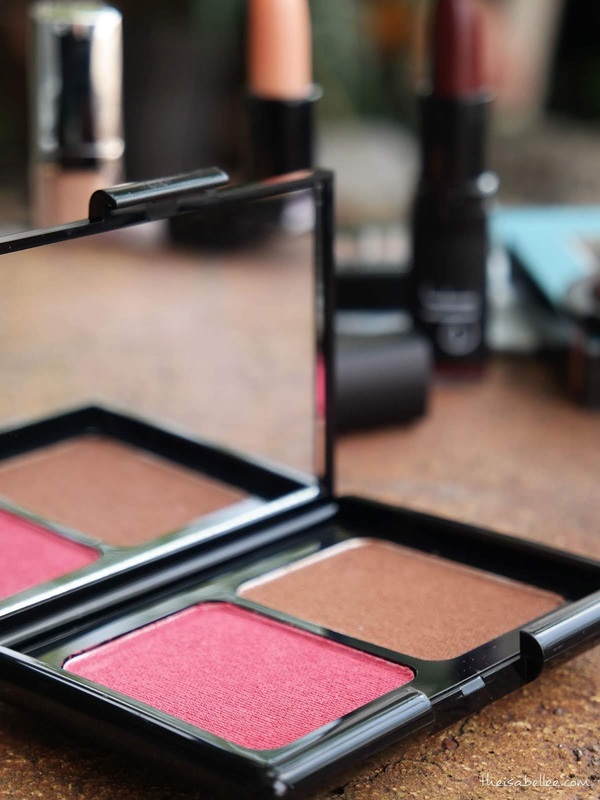 One of the freebies, a baked trio eyeshadow. 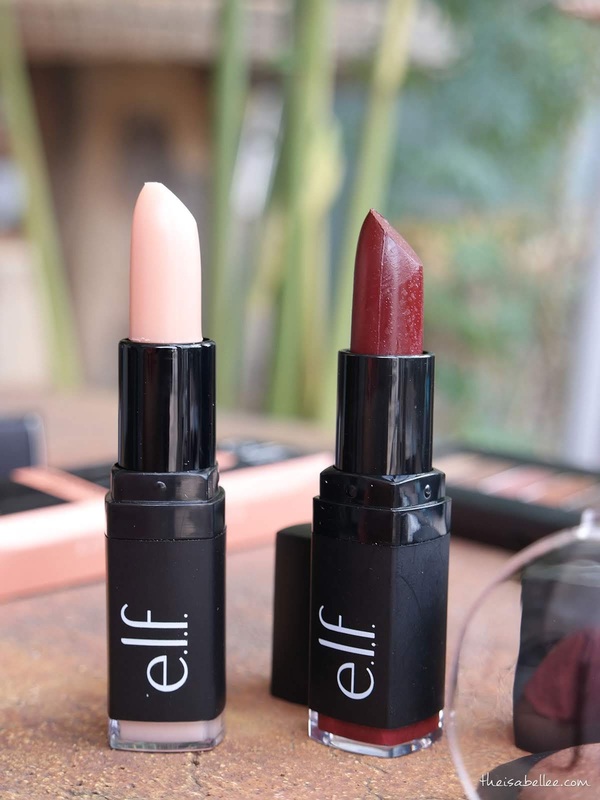 There was also a Lip Kiss Balm, a molten eyeshadow and a sachet sample. 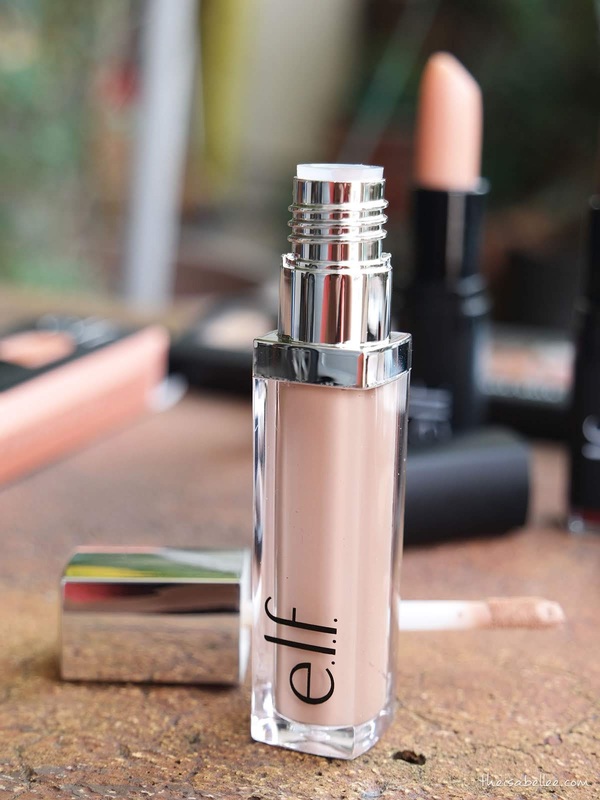 elf Aqua Beauty Blush & Bronzer - didn't want to purchase a separate blusher and bronzer so I got this 2-in-1! I had an older version which was more coral coloured but this is darker. 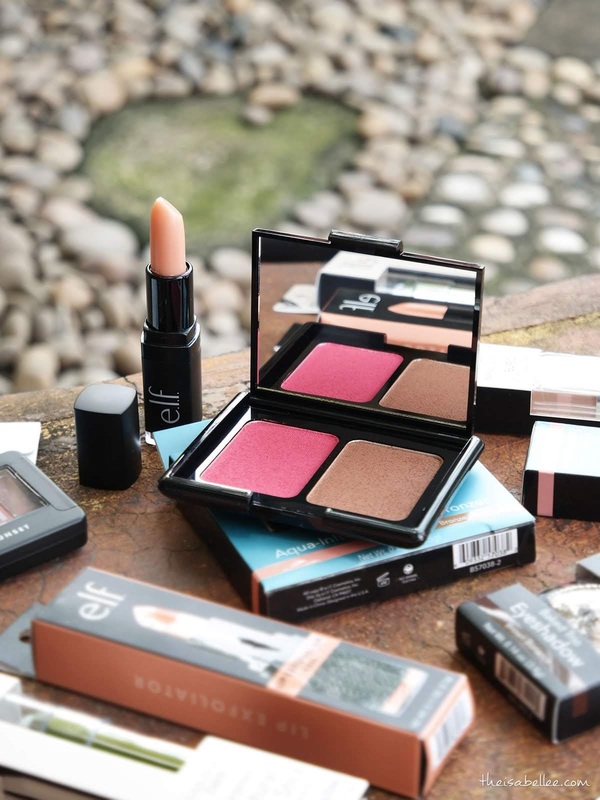 Come come let me teach you how to buy directly from elf Cosmetics to Malaysia. 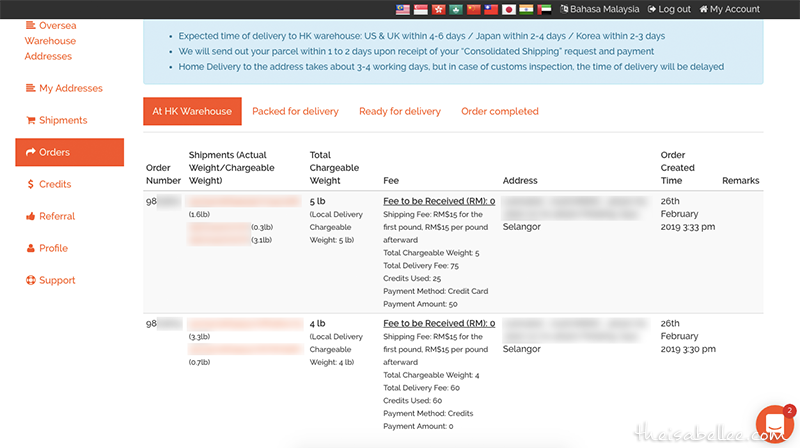 I am using BuyandShip because they allow me to consolidate parcels from USA, UK, Japan, Korea, China and Hong Kong which is so useful as my sister ended up buying stuff from all over the world omg.. Usually forwarding companies only offer shipments from 1 country. You cannot order through BuyandShip. Just treat it as your overseas house address. When the seller has provided you the tracking number, declare your parcel - basically notify BuyandShip about your parcels arriving. What if I don't have a tracking number? It's okay, BuyandShip will email you when an unknown parcel has arrived and you can claim it then. 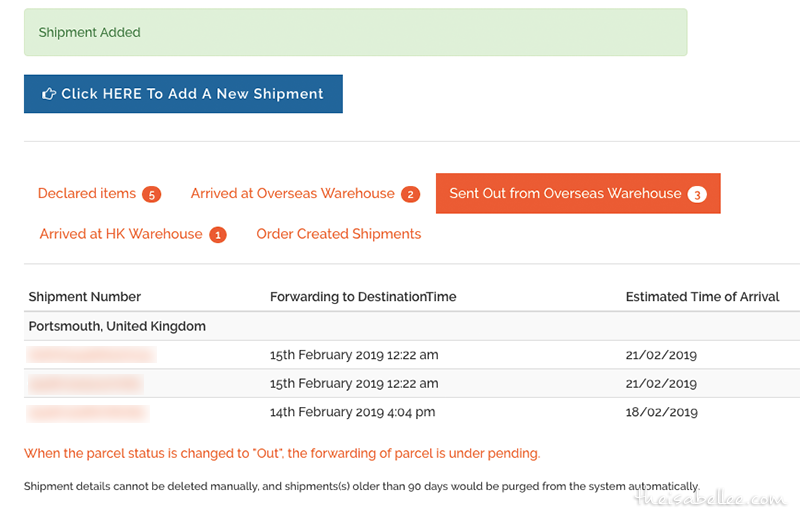 From there, you can track every single movement of your parcel! 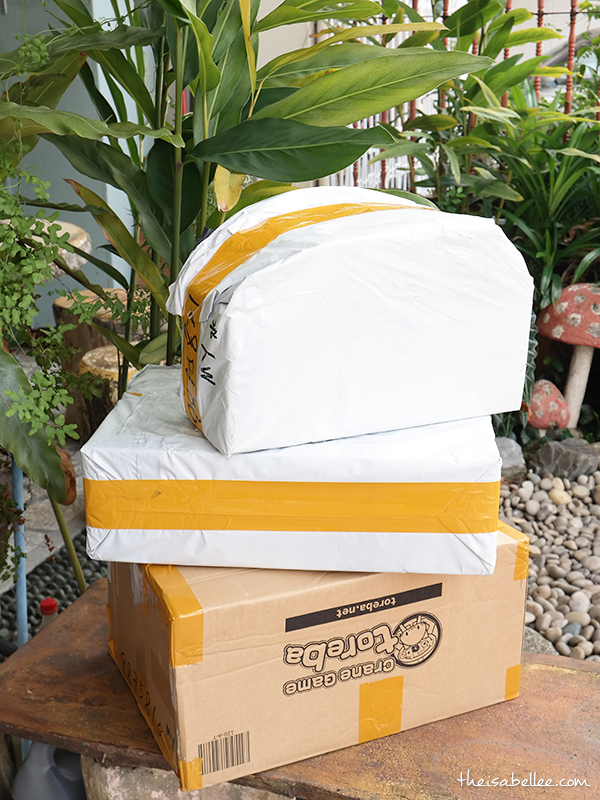 I consolidated 7 orders from USA and UK into 3 huge parcels. Packaging was my main concern as I was buying slightly fragile items. It would have to travel far from the seller-UK warehouse-HK warehouse-my house. Normally my overseas parcels arrive dented and kemek. As you can see below, the boxes arrived in perfect condition! None of my eyeshadows shattered and nothing melted nor leaked. When your parcels arrive at HK, they will weigh each parcel so you know how much it'll cost to ship. Payment can be made using credit card. How much did the postage cost? My 7 orders from USA and UK cost me RM180 in total to ship over to Malaysia. Total weight 12 lbs / over 5 kg. For boxes this size, they would normally charge by volumetric weight but BuyandShip only calculates by weight! But wait isn't that still expensive? One of the 7 parcels from eBay would have cost RM 90 to ship directly from UK to Malaysia but now costs RM27 only. So I saved 70% off shipping by using BuyandShip! #4 Wait for it to arrive! 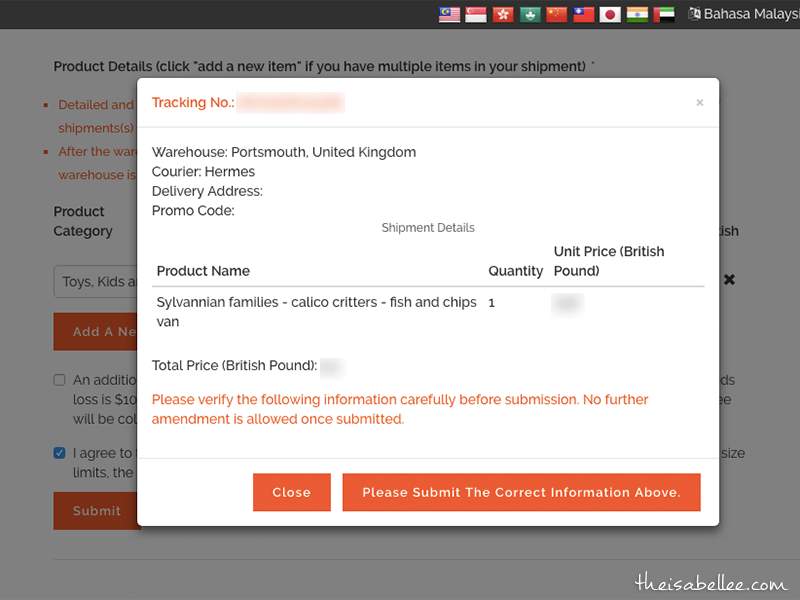 A tracking number will be provided so you can track your parcel. So far I've received parcels using Aramex and DPEX. From the Hong Kong warehouse, it arrived at my doorstep in days! Actually quite fast. I would like to emphasise that there is no membership fees, agent fees, tax, or hidden charges. All you need to pay is the RM15/lb. My parcels didn't get held at customs either. If you're still worried about using BuyandShip service, feel free to drop me a PM on my Facebook page!